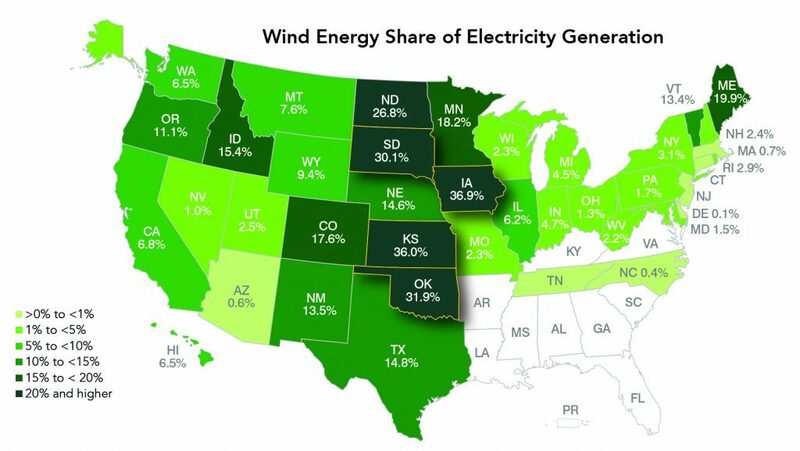 Iowa, Kansas and Oklahoma lead the nation in renewable energy generation, with more than 30 percent of the power generated in each of these states coming from wind turbines and other renewable sources. Three nearby Great Plains states, Nebraska, South Dakota and North Dakota, are also in the top 10 . . . One reason why these states are greening their electricity is simple. They are in the nation’s windiest region, which runs through the middle of the country from North Dakota down through Texas. Another reason for this wind boom: Many communities in these states see renewable energy as an economic opportunity. Read more here. OPPD has asked the public to weigh in on the new draft directive by Nov. 4, using a form on its website, oppd.com. Officials plan to sift through the next round of public comments in time to share them with the board. If the compromise appears acceptable, the OPPD board could adopt it during its Nov. 15 board meeting. If not, it could be sent back to the drawing board. Solar developer Ranger Power is making a name for itself in Michigan, as last week, the company secured over 1,200 acres of mostly farmlands for its proposed solar plant. Furthermore, local press reports that the project, if approved by the Shiawassee County Board of Commissioners, would clock in with up to 239 MW in capacity. Note: Ranger Power CEO Adam Cohen was one of three panelists who provided a presentation at last week’s Nebraska Wind and Solar Conference on the topic of “Solar Project Development: How to Make Your Project Successful from Day One.” The company was also a conference sponsor. 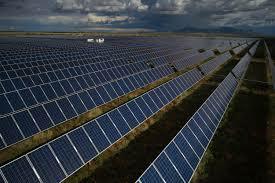 [Development Company Ranger Power] projects the solar farm would result in a $250 million investment in the county, $16 million in construction spending, 321 jobs during construction in the county and $3.2 million in increased household earnings for property owners. A final analysis of Indiana’s future energy needs, released Wednesday, predicts slow demand growth over the next 20 years, but also a need for 9.3 GW of new resources as older plants are retired. Whether you’re a Republican or Democrat, chances are you support rooftop solar. New research suggests there’s a reason why two groups that normally disagree on environmental issues both like certain types of renewable energy. The newsletter will be published every other month with news and resources from around the country on bringing the benefits of solar electricity to low- and moderate-income (LMI) communities. Email CESA Project Director Nate Hausman at nate@cleanegroup.org with LMI solar news and information. CESA welcomes your comments or questions on the newsletter. Click image to download the first newsletter and to subscribe for future issues. The Clean Energy States Alliance is a national nonprofit coalition of state and municipal clean energy funds working with federal, regional, industry, and other stakeholders to promote clean energy markets and technologies. 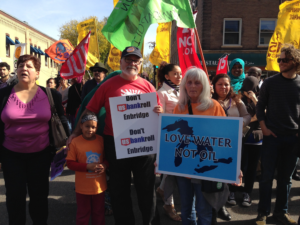 CESA has worked on low-income clean energy issues for over a decade. More resources are available on CESA’s low-income clean energy webpage, including CESA’s publications and upcoming and archived webinars. Zhenguo Li, founder and CEO of the Chinese solar manufacturer told the Future of Energy Summit in London the global PV marketplace would pass the milestone in the near future. This report by the Lawrence Berkeley National Laboratory documents trends in U.S. grid-connected solar installations, including overall price changes and how pricing depends on the location, system design, installer, customer, and other factors. This entry was posted in Nebraska / Midwest News, NewsBlog and tagged CESA's Low-Income Solar Digest, cost of solar panels continue to drop, economic benefits of renewable energy, Microgrid Knowledge, Omaha Public Power District, renewable energy news, Tracking the Sun: 2018 Edition on October 22, 2018 by Helen Deffenbacher. 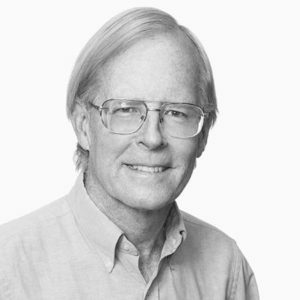 A study recently published by researchers at the Lawrence Berkeley National Laboratory (LBNL) shows that the electric vehicles (EVs) expected in California in 2025 could be used to meet the majority of the Golden State’s energy storage mandate that calls for 1.3 gigawatts (GW) of battery capacity by 2024. 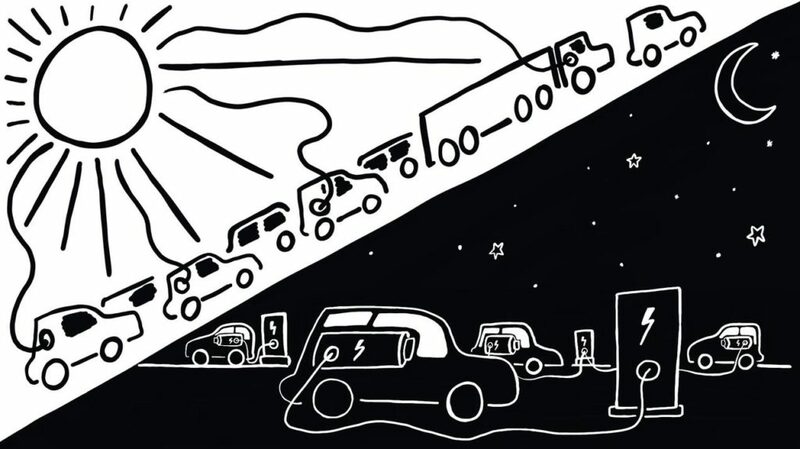 In fact, EVs can accomplish this both reliably and at about one-tenth the cost of stationary energy storage approaches. This level of storage could power nearly one million average homes, at least for a short while. That EVs can be this valuable to the grid is a hugely significant finding. Read more here. This paper describes the design and operation of the microgrid installed for the US Department of Defense at Fort Sill, Oklahoma. 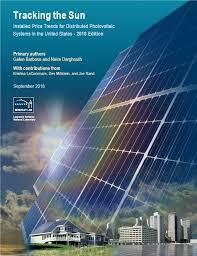 Access the Microgrid Knowledge library of free white paper and special reports here. 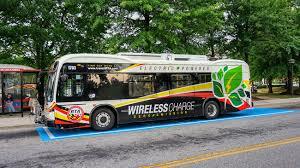 This entry was posted in Electric Vehicles, Energy Storage, Research and tagged California's energy storage mandate, EVs' value to the grid, Lawrence Berkeley National Laboratory (LBNL), Microgrid Knowledge, Natural Resources Defense Council (NRDC), Pamela MacDougall, Vignesh Gowrishankar on August 20, 2018 by Helen Deffenbacher. Microgrid Knowledge provides news and resources on microgrids and distributed energy resources. Their audience includes energy businesses, organizations and policymakers, along with customers who use microgrids and distributed energy — or are considering doing so. Visit their website to explore articles and white papers. Subscribe to their free Microgrid Knowledge Newsletter. 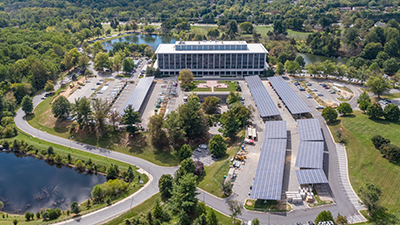 Photo by Brent Pernak: Solar canopy installation is well underway at the Public Safety Headquarters in Gaithersburg, Maryland. The project broke ground in July 2017, and completion is expected by winter 2018. This entry was posted in NewsBlog and tagged Microgrid Knowledge, microgrids and distributed energy, Nebraskans for Solar, Nebraskans for Solar NewsBlog on February 16, 2018 by Helen Deffenbacher. A new NRDC study finds that higher electricity costs occur in states that fail to invest in clean energy. NRDC’s Ralph Cavanagh describes the study. According to the data, the least-renewable friendly states saw bigger residential per kilowatt-hour rate increases from 2000 to 2015 than states that increased their clean energy portfolios. For example, residents of Iowa, which has increased its percentage of generation from renewable sources more than any state since 2000, pay only 0.6 cents more per kilowatt hour, adjusted for inflation, than they did in 2000, when renewable energy development was still in its infancy . . . The impact of efficiency initiatives on utility bills between the most and least energy-efficient states is stark. Read more. This entry was posted in Energy Conservation, NewsBlog and tagged DOE's Office of Energy Efficiency & Renewable Energy, Microgrid Knowledge, Renewable Energy World, solar power for affordable housing, Solar Ready Vets, Utility Dive on November 19, 2016 by Helen Deffenbacher. Albuquerque, NM – On the heels of a major solar energy victory in Albuquerque, New Mexico, Environment America today announced the launch of a nationwide campaign to convince cities and local governments to generate much more of their power from the sun. The “Shining Cities” campaign will engage and mobilize thousands of Environment America members, volunteers and supporters to convince local governments to expand the use of pollution-free solar power. This week, the campaign won a major victory in Albuquerque, where the city council unanimously voted to generate 25 percent of electricity used by city facilities from solar power by 2025. Environment New Mexico, the state organization driving the campaign, successfully mobilized constituents to make the case for the tremendous environmental and economic benefits of locally-generated clean energy. Read the entire News Release. Environment America is a national federation of statewide, citizen-based advocacy organizations working for a cleaner, greener, healthier future. A North American consortium plans to build a $12.4 million multi-utility microgrid project, designed to show how microgrids save money and help integrate renewables with advanced software. For anyone — industry veterans and curious consumers alike — seeking to understand the intricacies of electricity regulation and how it affects society, the book delivers authoritative answers in clear, digestible language. This entry was posted in NewsBlog and tagged Environment America, Microgrid Knowledge, Nebraskans for Solar, Utility Dive on September 22, 2016 by Helen Deffenbacher. The program allows building owners to utilize Property Assessed Clean Energy (PACE) financing for upgrades on non-residential properties via bonds or governmental loans. The amount borrowed is repaid via a special assessment on a property tax bill over a period of up to 30 years. In PNC [Plaza’s] case, the Columbus-Franklin County Finance Authority leveraged PACE in concert with a regional energy fund to pay for eligible building updates. 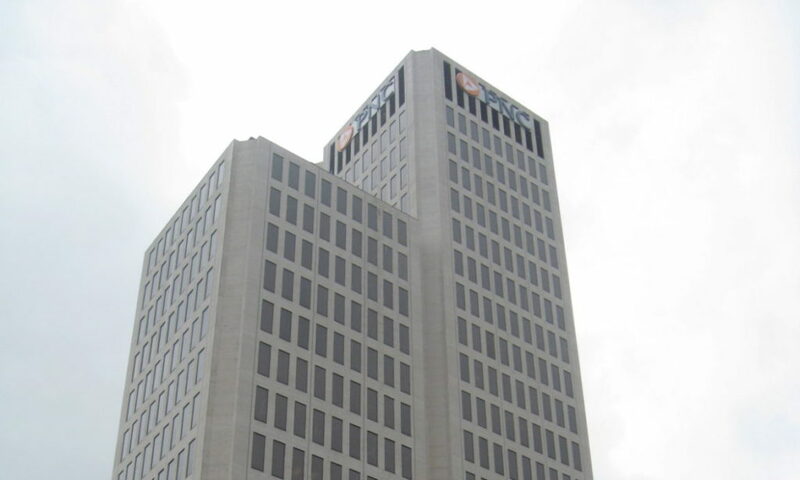 The loan is tied to the facility’s property bill and does not count as debt, meaning PNC’s owners can spread repayment costs over the life of the project so generated savings eclipse that of the annual loan payment. Photo by Friscocali / Creative Commons: A clean energy financing district in Columbus, Ohio helped obtain $3.2 million for upgrades to the PNC Plaza. This entry was posted in Nebraska / Midwest News, NewsBlog and tagged Computer World, Duluth News, energy efficiency, energy storage, Microgrid Knowledge, Midwest Energy News, Nebraskans for Solar, PACE financing, renewables, The Gazette, The Solar Foundation, Utility Dive on August 1, 2016 by Helen Deffenbacher.